Let me start by saying, that there are very writers who can float between genres with the ease of Samantha Kane. If truth be told, this author of the bestselling series, Brothers in Arms, was one of the main reasons I even considered giving MM romance a shot. She creates alpha type men and strong female characters that complement one another. And love is always the underpinning of some sizzling sheet time. With this new series, Ms. Kane introduces the reader to the Birmingham Rebels, The “red-headed stepchild of the NFL. Led by MC Cass Zielinski, the team and their coaches know that this is the last stop before retirement. Hence, they have something to prove. Now, most of this title involves Cass and Beau trying to get into Marion’s pants. The sexual tension is palatable by the time they finally do anything. But, there are a couple of subplots that really add to the story line and set up the next book in the series, Calling the Play (due out in December). 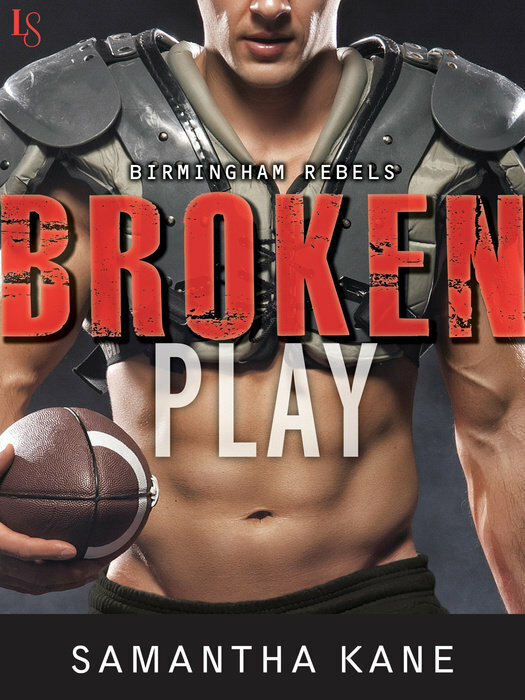 If you like a nice slow burn to your romance, really big men who need a little shove to get in touch with their feeling, and a woman who learns that kink has a time and a place, you really need to check out Broken Play. And if you just want to check out one of the most decadent scenes where 5 horny football players pleasure their female assistant coach…and each other, the price of the book is worth just that scene alone. Fans of Opal Carew, Mari Carr and Jayne Rylon will really enjoy the contemporary offerings of Samantha Kane.